Heparan sulfatedependent ERK activation contributes to the overexpression of fibrotic proteins and enhanced contraction by scleroderma fibroblasts. and ERK activation in SSc fibroblasts. proteoglycan activity, which in turn may have a profound effect on the fibrotic response in SSc. with systemic sclerosis (SSc; scleroderma). Harvard Medical School, Boston, Massachusetts; 6Andrew A. Pitsillides, PhD: Royal Veterinary Collage, London, UK; 7Catherine E.
and/or honoraria (less than $10,000 each) from Actelion and Encysive. (less than $10,000) from Actelion. revised form September 29, 2007.
tissue can result in death due to systemic organ failure. because the molecular basis for fibrosis is unclear. characterized by microvascular injury, autoimmune inflammatory responses, and progressive fibrosis (2,3). chronic fibrotic disease in general. HSPG that can antagonize interactions at the cell surface (11,12). CCN2 expression in normal mesenchymal cells (13–16). A–dependent inhibition of MEK/ERK signaling (13). in scleroderma fibroblasts is unclear. LeRoy et al (18). None of the subjects were receiving immunosuppressive medication or corticosteroids at the time of biopsy. isolated and cultured as previously described (10). kit (Amersham, Little Chalfont, UK) (19). peroxidase at room temperature for 15 minutes in the dark. Zeiss Axiphot microscope (Zeiss, Welwyn Garden City, UK). region (3 independent regions per image). using a cell viability assay (MTT) as described by the manufacturer (Roche, Lewes, UK). Analysis Technical Manual (Affymetrix, Santa Clara, CA). performed with a GeneChip Fluidics Station 450 (Affymetric). 50th percentile and per gene to wild-type control samples. http://home.wmin.ac.uk/ArthritisandRheumatism/) are an average of these independent studies. analysis was performed by Student’s paired t-test. across the collagen lattice with a culture force monitor (CFM). the force transducer and logged into a personal computer. continuous output of force (dynes, 1 ⫻ 10⫺5N) generated (26). control and inhibition experiments were run in parallel. points. All experiments were performed at least 3 times. were performed essentially as described previously (10). Briefly, 24-well tissue culture plates were precoated with BSA. a final concentration of 80,000 cells/ml and 1.2 mg/ml collagen. gel diameter over a 24-hour time period. overexpression of profibrotic genes in SSc fibroblasts. the expression of profibrotic genes in normal fibroblasts. 4⫹/⫹ and syndecan 4⫺/⫺ mice. expression of syndecan 4–dependent proteins in syndecan 4⫹/⫹ fibroblasts (Figure 1B). 4–dependent ERK activation contributes to the expression of proadhesive/contractile proteins in fibroblasts. activation are hyperinduced in SSc fibroblasts. cell adhesion and necessary for cell spreading (19). adhere to and contract ECM (10). MEK-induced ERK activation with U0126 (Figure 2A). both normal and SSc fibroblasts (Figure 2D). 24-hour time point for both cell types (Figure 3A). (50 ␮g/ml) for 18 hours prior to inclusion into the CFM. for SSc-derived fibroblasts and 43% for normal fibroblasts). for 24 hours with either U0126, ␤-xyloside, or heparin. 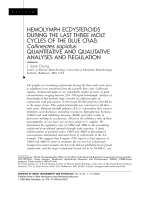 (Figure 4A; available online at http://home.wmin.ac. (Figure 4B) relative to control, vehicle-treated fibroblasts. for fibroblasts to contract a 3-D collagen gel. CCN2 can act via HSPGs, including syndecan 4 (19,44). formation in chronic fibrotic disease, including SSc. Shiwen, Khan, Liu, Carter, Denton, Pitsillides, Sarraf, Eastwood. Statistical analysis. Chen, Pala, Liu, Pitsillides. wound healing and fibrosis. 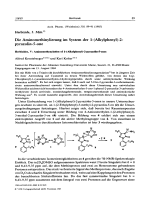 J Cell Physiol Suppl 1987;Suppl 5:89–93. systemic sclerosis. 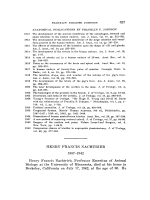 J Rheumatol Suppl 1997;48:53–7. the scleroderma fibroblast. J Clin Invest 1974;54:880–9. Beauchamp JR, et al. Autocrine overexpression of CTGF maintains fibrosis: RDA analysis of fibrosis genes in systemic sclerosis. scleroderma fibroblasts. J Biol Chem 2000;275:15220–5. collagen. Rheum Dis Clin North Am 1996;22:647–74. proteoglycans. 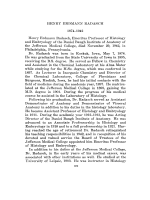 Annu Rev Biochem 1999;68:729–77. 12. Tumova S, Woods A, Couchman JR. Heparan sulfate proteoglycans on the cell surface: versatile coordinators of cellular functions. Int J Biochem Cell Biol 2000;32:269–88. regulation: requirements for its induction by TGF␤ in fibroblasts. 15. Chen Y, Blom IE, Sa S, Goldschmeding R, Abraham DJ, Leask A.
MAP kinase, and PKC. Kidney Int 2002;62:1149–59. production in fibroblasts and in the skin of scleroderma patients. Medsger TA Jr, et al. Scleroderma (systemic sclerosis): classification, subsets and pathogenesis. J Rheumatol 1988;15:202–5. fibroblast adhesion to fibronectin. Mol Biol Cell 2004;15:5635–46. Schwann cells. 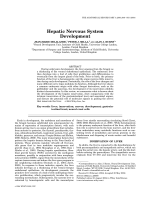 J Cell Biol 1987;105:1013–21. culture. J Cell Biol 1989;108:2495–505. 24. Eastwood M, Porter R, Khan U, McGrouther G, Brown R.
by dermal fibroblasts and the relationship to cell morphology. fibroblast cultures: evidence for cell-matrix mechanical signalling. and syndecan-4. Mol Biol Cell 2004;15:5670–7. associates with ␣-actinin. J Biol Chem 2003;278:7617–23. varies with cell spreading. 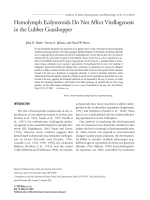 J Biomech 2005;38:1405–12. 30. Grinnell F. Fibroblast biology in three-dimensional collagen matrices. Trends Cell Biol 2003;13:264–9. Mancini M, et al. Stimulatory autoantibodies to the PDGF receptor in systemic sclerosis. N Engl J Med 2006;354:2667–76. scleroderma fibroblasts. Arthritis Rheum 2006;54:1309–16. wound healing in skin. J Pathol 1997;183:251–2. function. Nat Prod Rep 2002;19:312–31. scleroderma fibroblasts. Arthritis Rheum 2002;46:1857–65. protein synthesis that is resistant to inhibition via a kinasedeficient transforming growth factor ␤ receptor type II in scleroderma. Arthritis Rheum 2004;50:1566–77. inhibitor. Am J Respir Crit Care Med 2005;171:889–98. 41. Leask A, Abraham DJ. TGF-␤ signaling and the fibrotic response. vitronectin, and collagen during fibroblast-mediated collagen contraction. Wound Repair Regen 2002;10:397–408. 44. Leask A. Scar wars: is TGF␤ the phantom menace in scleroderma? mononuclear cells. Culture was negative. Relief from bursitis was immediate following local steroid injection.